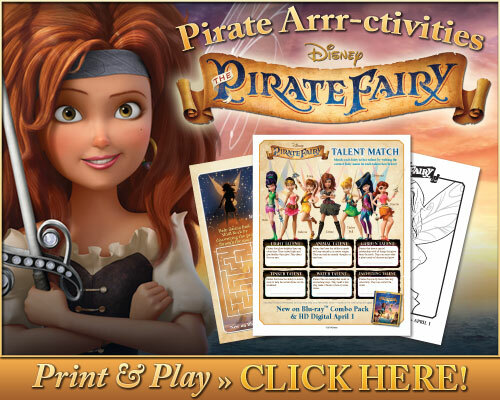 Disney Fairies The Pirate Fairy movie is being released on Blu-ray/DVD on April 1, 2014. To get prepared for the release there are some fun Pirate Arr-ctivities that you can download and print. There are also some fun clips and the movie trailer for you to enjoy.